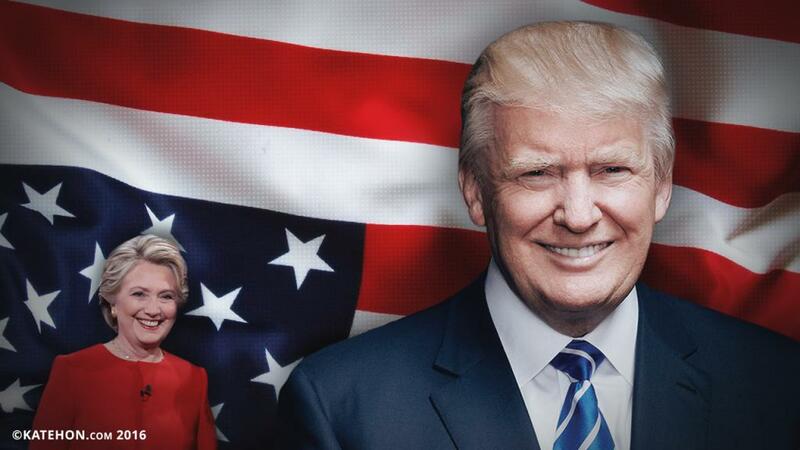 The great presidential debate on September 26th, 2016 - set to be the first of three - was the subject of great controversy in the mainstream media. From a strategic and moral perspective Trump won this debate - but for those watching the debate including Trump's own supporters, he performed not as well as expected, and Clinton, conversely was surprisingly cogent and competent in her presentation. In this review of the debate, we will present first a chronological recap of Trump's performance, rooted in a deep analysis of the political process, and campaign and voter psychology and strategy. First, we will give an overview of the 'boxing match' component. Then we will give to the readers a three-variate analysis of the main factors to understand in terms of arriving at our conclusion. First, objectively, Clinton started off looking energetic, but not manic, pulled together and with a lot of composure. She looked presidential. She carried herself with a lot of comport and grace, and had her face angled perfectly as Trump spoke. This was taken from Obama. All of Clinton's strengths were highlighted, and very few of her weaknesses. She was very rehearsed and entirely contrived, but not wooden. Trump seems to have focused on memorizing perhaps 3-4 facts, meaning number type facts. But he laid these out very quickly, and early on in the debate, and 'got these out of the way'. If his intent was to demonstrate a command for facts and figures, it probably didn't go over so well. Clinton didn't seem to worry about any facts or figures, being more thematic in her approach. This is very interesting, because generally she is capable of reciting facts and figures, and it is Trump, conversely, who tends to be thematic in approach. Trump was not polished in comparison. He relied too heavily on ad libbing, which came off really as mumbling at parts, repeating himself as he often does - which has a certain NLP power - but in this context was weak. About a third of the way through, Trump came to life. But he came to life speaking to his core supporters. This did not score him strong points in so-called 'objective' analysis in the MSM, but for reasons we will discuss below, it is actually a strategic strength. Trump was off balance at first, he knew he had to pull punches, but not sure how to land the right ones. It was like a great slugger going up to bat against a southpaw pitcher. By being too strong, he can make her look defenseless, which makes him look abusive. Trump was fidgety and impatient when Clinton spoke. He made faces which he's been previously advised not to do. However, towards the middle of the debate, he raised some very good objections, but did not enunciate them clearly or use his parlance and tempo of speech to hone in on his differences and objections. This was probably deliberate, upon reflection, because he clearly knows how to get this to 'zing' a lot more. It was more of a passing reference approach, which did not force Clinton to respond to, but nevertheless got them on the record. There is a very good reason he said these in ways that didn't force Clinton to respond, which we will explore in the analytic portion, below. So Trumps rebuttals were strategically weak. He put them on the record, but did not force Clinton's hand. His own planned critiques were factually true, but he did not rhetorically highlight these, and instead jammed these all in to his answers that were run-on sentences, which had the intended affect of veiling these. Strategically, this bodes well for Trump, for reasons we will explore in this article. Clinton cannot do better than this, and now it becomes clear suddenly upon reflection that where Trump appeared to have no plan, he has a plan. Clinton cannot do better. For Trump, people are now rooting for Trump to do better next time - whereas Clinton will ride triumphant from this debate which most media will say Clinton won. Clinton does very poorly in the public perception when she's riding a wave of self-congratulatory bravado. Her own supporters leave in droves whenever she appears this way, a very unfortunate part of the Clinton reality. Trumps strongest points and what made Clinton's attempt to hurt him actually fail, were simply raising the issue of emails and forcing Clinton to apologize about deleting them. And with Iraq, and Libya, there was really no way she could not take responsibility for her blunders which have killed more Muslims than Trump insulted - but this last point was one Trump was unable to put out there as clearly as he can. In short, Clinton's perfectly polished, perfectly delivered presentation was significantly stronger on the presentation level than Trumps. Trumps several strong points were poorly landed, but still landed. If well landed, they would have annihilated her. But this would have been too soon. In understanding the outcome of this debate, it is important to understand three distinct ways that the outcome must be understood. For the candidates, for the media, and for the voters. These are three distinct realities that are, while independent as a subject of study, also interrelated in the fluid course of reality. The first is for the candidates - Trump and Clinton - what were their strategic aims going into the debate? These can vary from trying to maintain a position in the polls, to testing out various talking points and criticisms about the other opponent, to simply remaining neutral as to not make any meaningful change to the present polling data. Both candidates had diametrically opposed aims going into the debate. For Trump, it was not necessary for the mainstream media to declare him a winner. It was already understood that this would not happen. For Trump, knowing that there would be three debates, it was important for him not to use all his ammo, or to let Clinton respond to certain important criticisms, too soon before the election. Voters have short memories, and a well placed memetic bomb must be set to detonate as close to election day as possible. Therefore, Trump is wise not to use his best arguments in the first two debates. For Trump, it was important to allow Clinton to attack him with her best arguments against him - that he's a sexist, that he's a racist, and that he's a bad businessman who defrauds the little guy. While Clinton's presentation was a bit clearer, and more polished, her punches didn't land. This came at a certain cost, however, for Trump, Because for Trump to not let these land, he had to do this at the expense of seeming argumentative or even defensive. But Trump deflected these in ways which also energized his larger base of supporters, something that the MSM has intentionally failed to figure in to their 'analysis'. So Trump, strategically, wanted Clinton to expend her best arguments against him - that he's white, a male, and very rich. These are also called the race, gender, and class cards. She played them all. For Clinton, it was necessary to appear healthy, alert, and coherent. This is coming off the big news of her collapse and apparent bout with unconsciousness, which her campaign seems to have gotten away with so far, calling it pneumonia. But for viewers, it was important to see if Clinton would even show up, and if she would begin to show signs of whatever chronic illness which she is rumored to suffer from. Clinton succeeded in showing up, and appearing 'presidential'. Her handlers coached her in not coming off as shrill or overly confident, which viewers and voters always interpret as arrogance in the unfortunate case of Clinton. So in essence, Clinton accomplished this, her first goal - to basically appear presidential and prepared. She looked much better than in recent appearances, and had no bouts of coughing or lapses in memory or consciousness. But in terms of her ammo, she's used it all up. This, strategically, does not bode well for Clinton. Clinton needed to destroy Trump, and watch him wilt at the hands of her own shots and Lester Holt's, the moderator. Trump survived these, and so while Clinton appeared more composed the whole time, she strategically failed to reduce his support among his larger base of zealots. The second is for the media - how will the media spin the outcome? Clinton's campaign manager, Robbie Mook, spent a lot of time threatening media and getting them in line, and spent a lot of his time mainstream interviews planting the idea that Clinton would win if Trump lost his cool - something which of course is subject, and easy to accuse Trump of doing, even though history will probably show that this was a great strength of his in turning out support from his zealous supporters, and the ground campaign. Mook also made sure to get viewers used to the idea that the moderator, Lester Holt, would be interjecting and 'fact checking' whenever Trump lied. And he set it up, so that if Holt had to interject and 'fact check' on Clinton, it meant he had lied, and therefore was unfit to be president of the US. This is a radical turn, using the phrase 'unfit'. Historically, presidential candidates were considered by their opponents to the 'fit for office'. Of course, they had already been vetted by the powers that be. Their public service, business, and military careers and credentials were above and beyond reproach. The first time we heard this idea of 'unfit for office' was during the impeachment campaign around President William Jefferson Clinton in the 90's. The second time, it was surrounding health concerns for McCain. This has come with increasing regularity, then, and shows a general symptom of political degradation within the US's internal political processes, and are a sign of coming divisions and a period of radicalization. The third is for voters - The most important - voters always respond to these debates in some way in the polls. Clinton had a much more difficult task, because she is faring poorly in several ways. By the numbers, she had been trailing Trump in numerous national polls, a gap that widened after 9-11. Other polls showed them neck and neck, but there were no polls that showed her ahead after 9-11, at least unless they were using a new method on CNN, Clinton's favorite, which essentially gives Obama's 2012 numbers and 'adjusts' these to Clinton - a method which is scientifically incoherent. Clinton needed to close a 'health deficit' because swing voters were trending towards Trump after her health related collapse on 9-11. She probably accomplished this much, as stated, but in terms of voters, she needed arguments which resonated beyond the left and center-left sphere of politics. Being 'hawkish' on foreign policy doesn't accomplish this in the post Ron Paul political reality, because centrist and center-right voters whom Clinton needs are increasingly wary of pro-war politics and neo-conservatism in general. Clinton's voters are closely plugged into the mainstream media, but also the 'walled garden' internet space like the Huffington Post, Daily Kos, and other left-leaning publications which are easier to find for less net savvy netizens. Both Trump and Clinton have strong anti numbers, meaning voters who really dislike them. But Trumps core of support figures are higher than Clinton's. Clinton's supporters, beyond her core, are just more afraid of Trump than they are of Clinton - and even according to polls, they also have issues with her honesty and transparency. They simply see Trump as the greater evil. Trump's great advantage connects two facts, in terms of how voters will take this event. It doesn't matter what the media says. Trump's core of support is populist and primarily distrustful of the mainstream media talking points, and we can even call them a silent majority. So the MSM saying that Clinton won is not important. Trump has strong ironic and post-ironic memetic support from the millennials generation, and even if they are not serious and do not come out to vote, they have created a Trump friendly eco-sphere in the alternative online media, which has been absolutely huge for Trump. The second fact comes down to the activism and zeal of his supporters. Trumps followers are far more likely to have a strong sense of mission, and are voting for Trump's sense of vision, and are not simply motivated by fear of Clinton. Clinton's ground campaign relies primarily on organized labor doing a tactic called GOTV by the AFL-CIO and SEIU trade union federations. These come with some strengths, and weaknesses - but what is generally lacking is zeal. So connecting trumps two strengths in this third category, voters, we can see that Trump wins this debate in this vector. Why? It's simple - what Clinton voters and undecided voters may have interpreted as him 'losing his cool', was actually Trump speaking directly to his larger core of zealous supporters. The undecided's were not Trump's target at this time - politics is a person to person (P2P) affair, and his aim was to remain credible in his base's eyes as well as sustain Clinton's best attacks on him. His success here will transform into clicktavism online for him, and a more robust ground campaign, a larger more energized pool of volunteers to draw from. This is especially so since Trump's larger core of zealous supporters view him as being 'robbed' in this debate, making him the moral victor. While Clinton appeared to her base and to undecideds as better prepared, more polished, and more articulate, this will not galvanize her base. She simply succeeded in not further hemorrhaging more support in the wake of the 9-11 health scandal. Trump's victory then was not just strategic, but moral. His base of support was prepared for him to be ambushed, since Clinton would only agree to this debate if she had the advantage. Holt, as an African-American man, holds a certain power that doesn't need to be spoken, purely symbolic, about issues of race. Clinton, though a white person, is using the issue of race much as her husband Bill Clinton did (he had half-joking been referred to during his tenure as the 'first black president). Holt's blackness cannot go unaddressed, it is absolutely unfathomable that his race was not a factor in nomination on the part of the Clinton campaign. And he was perfectly qualified, and so Trump had no reasonable grounds to oppose his role except for on the grounds of race, which would have been racist. So Trump lost this part off the set-up, and Holt was in. If one were to say the defining role of Holt is that he is a 'black moderator of the Presidential debate' - the two most emotionally driven words with the most cognitive impact, are the words 'black' and Presidential'. The first subconscious reference here is Obama. And so, in a strange but very true way, Trump was not only debating Clinton, but also a sort of shadow-image, pseudo-representation, of Obama in the form of Holt. And it was Holt who shilled for Clinton half a dozen times during this debate. This has not gone unnoticed by Trump's supporters, and neither did the fact that Clinton seems, in the eyes of Trump's larger zealous base, to have known the questions in advance (though this can be explained by preparation, and not fraud). Taken together, this gave Trump a moral victory among those who Trump needed to see it this way. Conclusively on the strategic front, this was a clear victory for Trump. Trump didn't use his best arguments or rhetorical devices, saving these for later and closer to the election, which makes sense given the recency effect in psychology. Clinton used her best arguments against Trump, but these failed to land very well - and Clinton, due to features specific to her aura - cannot more vehemently attack anyone without herself coming off as shrill and a bit mentally off. Unlike Trump, Clinton's own base also is turned off when she behaves this way. So she is confined by how she attacks Trump, though Trump is also confined by gender, he cannot attack Clinton in ways that make her seem like a female victim at the hands of a misogynist abuser. This was Clinton's best performance in the history of her career, and the MSM isn't entirely wrong in declaring her the winner. The problem is that even at her best, with the moderator backing her up, she failed to knock Trump down or chip at his core support. Feeling outraged at MSM coverage, Mook's behind the scenes games, and the interference of Holt, Trump's supporters will double down on their efforts, and their 'gospel' work, and will move forward more energized. What the MSM calls Trump 'losing composure' were precisely those moments when he reached directly to his core support. They are the ones that will win this election, not the superficial elements of Trump's performance in this debate. The problem is that Clinton can never do better than this. But Trump, on the other hand, has held onto his best cards, and delivery style, and will surely play these in the next two debates, increasingly. Trumps support base saw this as an underwhelming victory for Trump, but one which will still inspire then in the ground campaign - a place that Trump has spent far less and achieved far greater results, not only per dollar, but overall. Trump's fundraising is similar to Obama's in that they come from, primarily, a lot of small donations from real people, from activated zealous supporters, than they do from the big banks and special interests, as is the case with Clinton. Clinton has outspent Trump by 200%, and yet Clinton has failed to push Trump out of the race. The coming month will show a significant surge for Trump, especially given his energetic campaign that turns out tens of thousands of supporters, energizing whole communities, whole states - while Clinton's campaign is MSM, top-down, stage managed, with a serious and problematic lack of zeal among her own reluctant supporters.